Your skeleton is much more than the structure supporting your muscles and other tissues, it affects your appetite and metabolism too, a study has found. Your skeleton is much more than the structure supporting your muscles and other tissues, it affects your appetite and metabolism too, a study has found. Researchers have found how a hormone produced by our bodies affects the way we metabolise sugar and fat, unveiling its potential in preventing diabetes and obesity. According to a study published in the Journal of Clinical Investigation, one of the hormones known as Osteocalcin produced by bone cells, helps sugar metabolise sugar more easily. One of the osteocalcin's functions is to increase insulin production, which in turn reduces blood glucose levels. 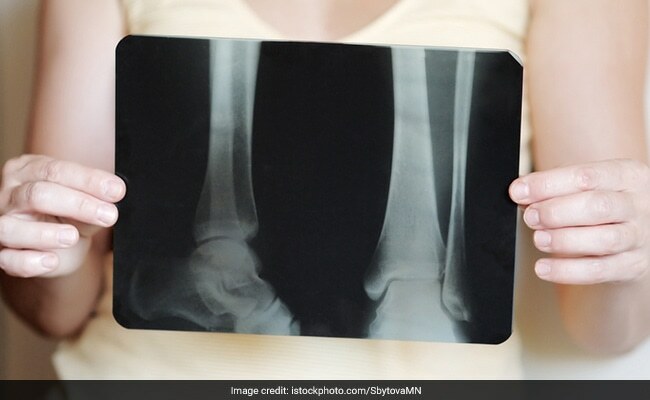 Researchers from the Montreal Clinical Research Institute (IRCM) in Canada studied this hormone produced by our bones that affects how we metabolise sugar and fat. The researchers also revealed a new piece of puzzle that explains how osteocalcin works. The discovery may someday open the door to new ways of preventing type 2 diabetes and obesity. It has long been known that hormones can affect bones. "One of osteocalcin's functions is to increase insulin production, which in turn reduces blood glucose levels," Mathieu Ferron, director of the IRCM's Integrative and Molecular Physiology Research Unit. "It can also protect us from obesity by increasing energy expenditure," he said. However, the idea that bone itself can affect other tissues too root only a few years ago with the discovery of osteocalcin. Thanks to these hormones, produced by bone cells, sugar is metabolised easily. Studies have shown that, for some people, changes in blood concentrations of osteocalcin may even stave off the development of diabetes. For the study, which was conducted on mice, the team demonstrated that an enzyme called furin causes osteocalcin to become active and the hormone is then released into the blood. "We demonstrated that when there was no furin in bone cells, inactive osteocalcin built up and was still released, but this led to an increase in blood glucose levels and a reduction in energy expenditure and insulin production," Ferron said.